Iran’s nuclear facilities have been being inspected by the International Atomic Energy Agency, and the inspectors have repeatedly certified that no uranium has been diverted to weapons purposes. This agreement will increase the frequency of the inspections and widen their scope somewhat. The agreement did not recognize Iran’s right to enrich uranium, but Foreign Minister Mohammad Javad Zarif said that the right was implicit in the agreement (which does not forbid enrichment to 3.5% for reactor fuel) and in the Non-Proliferation Treaty. In a press conference on Sunday morning, Iranian president Hasan Rouhani reaffirmed that he understands the agreement to recognize Iran’s right to enrich. But he strongly reaffirmed that Iran does not want and never will want to build an atomic bomb (nuclear weapons are forbidden in Shiite law according to Supreme Leader Ayatollah Ali Khamenei’s fatwas, but it has been hard to get suspicious Westerners to take these theocratic pronouncements seriously). The agreement is actually an agreement to negotiate, and the hard bargaining is yet to come. The terms agreed upon are more confidence-building measures than anything else. Binyamin Netanyahu was a cheerleader for the Iraq War. He is now deeply wounded that the US is making peace with Iran. He seems to see the US as his personal doberman pinscher, which he is used to siccing on his rivals in the region whenever they complain about his aggressive land thefts. All through the Cheney-Bush administration, repeated leaks from the Pentagon to Sy Hersh and other investigative journalists warned that machinations were afoot to draw the US into a war against Iran, as an outgrowth of the illegal and aggressive attack on and occupation of Iraq. The Neocons plotted against the lives of our children until their last day in office, in January of 2009. After seeing what Bush did to Iraq, Tehran ramped up its nuclear enrichment program, in hopes of making the point that if the US looked like it might try to invade (which it often looked like), Iran might go for broke and come up with a small nuclear device. In 2003 when Khatami made the peace proposal, Iran had just declared a small set of nuclear experiments. As of 2006, it began serious nuclear enrichment activities, though UN inspectors have never found evidence of a nuclear weapons program. As Secretary of State John Kerry pointed out Saturday night, if the Bush administration had accepted iran’s 2003 proposal, the rancor, saber-rattling, sanctions and the rapid advances in Iran’s nuclear program could have been avoided. President Barack Obama came into office wanting a diplomatic deal with Iran. He addressed “the Islamic Republic of Iran” on the occasion of the Persian New Year (the vernal equinox in mid-March). Those plans were derailed, first by the outbreak of domestic unrest in Iran in summer of 2009, and then by hard liners around Supreme Leader Ali Khamenei, who backed out of commitments made at negotiations in fall of 2009. After that, US-Iranian relations got worse and worse. The US Congress, goaded on by the American Israel Public Affairs Committee and other Israel lobbies, imposed increasingly crippling sanctions on Iran. Ultimately, the US attempted to use its favored position in financial markets to stop Iran from selling its petroleum on the international market. It is a financial blockade, and blockades are acts of war. I have been worried for the past year and a half that this financial and oil blockade would lead to hostilities. All it would take would be for a general in the Iranian Revolutionary Guards to lose a cousin who could not afford medicine any more and to go off the deep end and order an attack on US facilities in Iraq or the Gulf. The very severe sanctions the US put on Iraq in the 1990s in many ways lead to the Iraq War. Now, the tides of war are ebbing. 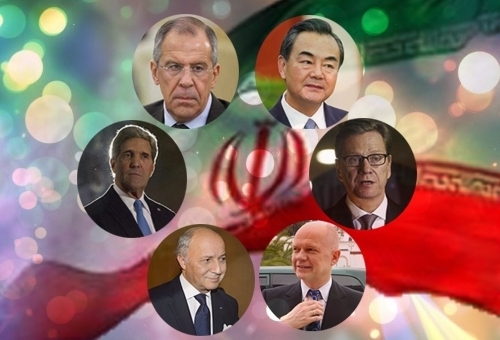 Assuming that the negotiations over the next six months are successful, a compromise will be reached whereby Iran’s “break-out capacity” or ability to construct a nuclear weapon will be constrained, and whereby the international blockade on Iranian commerce will be lifted. President Rouhani, elected as a mild reformist this summer, is eager to nail down a deal before his own hard liners have time to derail the negotiations. President Obama, eager for some sort of achievement for his second term, has every reason to accept a deal on Iran that involves a heavy inspection regime and gives reasonable assurance that Iran is not weaponizing its nuclear enrichment program. The only question here is whether the agreement is in American interests. It is. Ever more severe sanctions increasingly risked war with a country three times as big geographically and 2.5 times as populous as Iraq (the American occupation of which did not go well). That danger is now receding, which can only be a good thing. And if negotiations and UN inspections can indeed succeed in allowing Iran a civilian enrichment program while forestalling a weapons program, it is a breakthrough for the whole world and an important chapter in the ongoing attempts to limit proliferation.